Hell’s Kitchen, well not really. That chunk of New York City on 9th Ave. between 34th and 42nd tucked away behind Penn Station and Port Authority. It remains one of the seediest corners of the city even after the much publicized Giuliani and Bloomberg crackdowns on the lesser loved aspects of NYC. 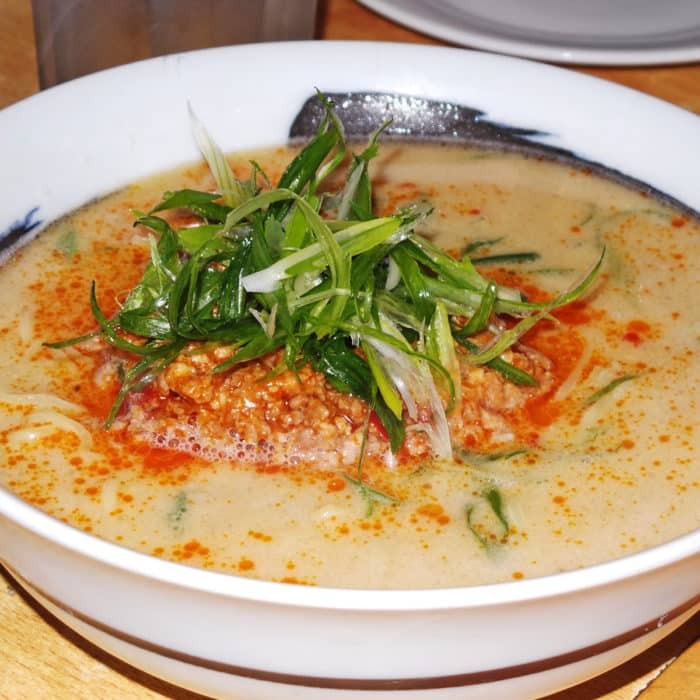 It’s not often that I find myself in that god-forsaken corner of town, but since I was there, it seemed like the perfect opportunity to check out the ramen and other Japanese pub food at the nearby Tabata Ramen outpost. It’s a pretty tiny shop with a bit of bar seating up front and a couple small tables in the rear. It’s a simple, no frills shop that you would go to more for the food than any sort of special ambiance. Though Tabata is a ramen shop, there are a number of dishes served that I can never resist when I spot them on a menu. 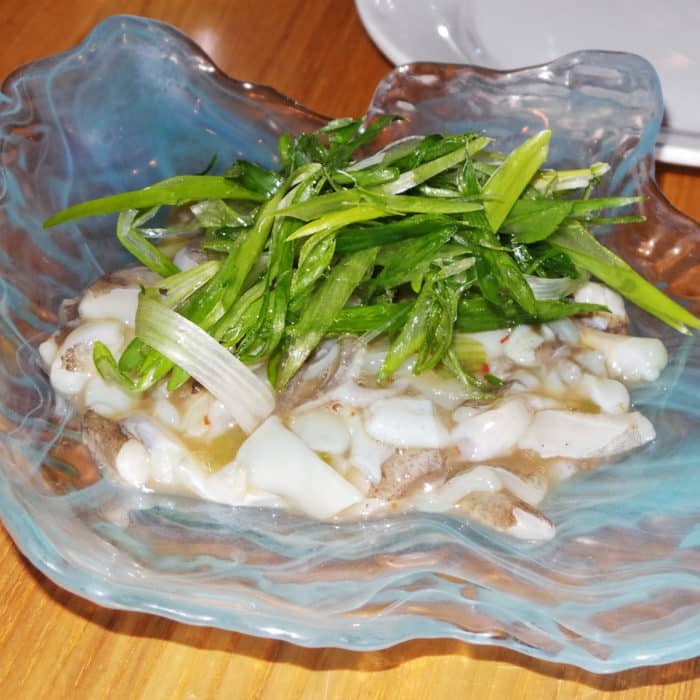 Takowasabi is a perfect example of this kind of dish. For those unfamiliar, it is a bowl of chopped, raw, wriggly, slightly chewy octopus tentacles served in an almost snotty-textured, wasabi flavored sauce. This is definitely not for everyone, but I love it. The portion at Tabata is absolutely massive compared to other places I’ve had the dish. But yeah, even my normally adventurous eating companions took a pass at trying this one. Another dish I’m often drawn to is Chicken Wings. Again, this probably isn’t the first thing that would come to mind to order at a ramen shop, but I swear the pick is not that far out in left field. I find that Asian cultures, particularly the Japanese, have a knack for deep frying. And skilled deep-fryers they were indeed. 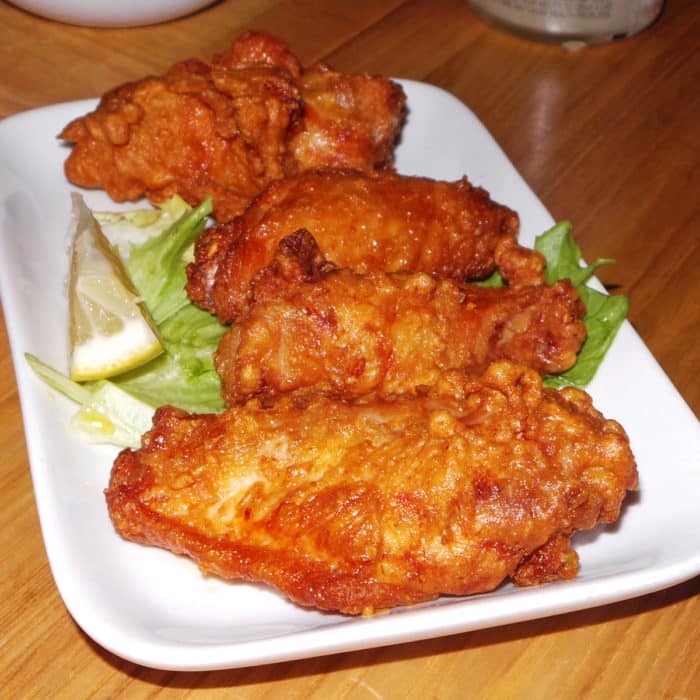 The chicken wings had a really dry fried exterior with plenty of moist, juicy, meat beneath the outer crust. There wasn’t all too much flavor to these, but I suppose I’m partially to blame for not picking the hot wing variety that was also offered. All in all, they were tasty and enjoyable, but pretty simple and straight forward. A touch more seasoning would have been appreciated. Finally, we arrive at the main reason we came to Tabata in the first place, the ramen. I selected their Tan Tan Men variety, a bowl made with a chicken bone based broth that had been boldly reenforced with tons of white sesame paste, spicy ground pork, and scallions. The broth was quite tasty, though not necessarily as deep and rich as the pork bone based broths I’m often drawn to. The noodles were springy and paired well with the rest of the soup. The ground pork helped substantiate the light broth, but there’s nothing too mind blowing about this bowl of ramen. It’s quite good and hits the spot every time, but it does just that and nothing more. 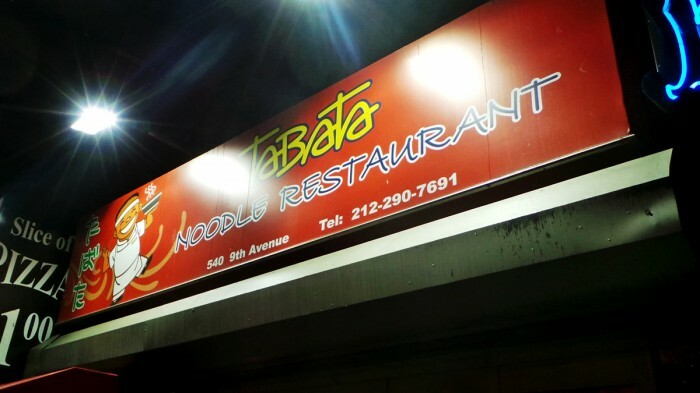 So, if you find yourself in need of a good, cheap, filling, and comforting meal in the Port Authority area keep Tabata Ramen in mind. 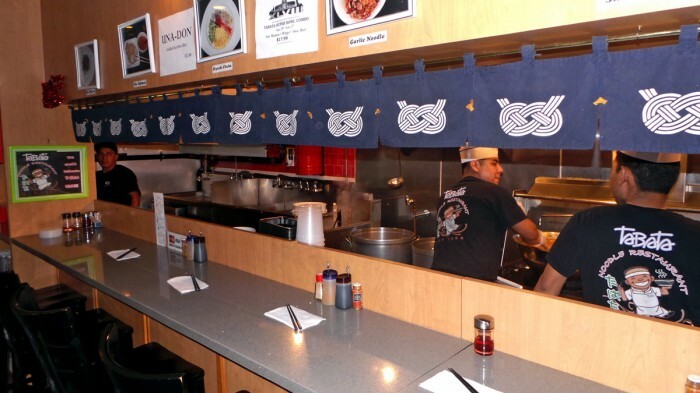 The price is right and food is always delicious, but there’s nothing that sets it apart from any of the other ramen shops around the city.